We’ve all dreamed of owning a luxury vehicle, but did you ever imagine that you’d have the opportunity to own an Italian luxury car? Well, that’s now a distinct possibility thanks to Alfa Romeo’s reemergence in the United States market. The brand offers customers an array of vehicles offerings, meaning they should presumably satisfy any potential car buyer. For starters, Online.cars is available all day, every day. You never need to worry about visiting us during our business hours, since every hour is a business hour at Online.cars. You also don’t need to worry about spending time and gas money to get to some off-the-beaten-path location – visiting Online.cars is as simple as powering up your laptop and visiting our easy-to-use site. No matter if you’re at home, on the road or even out of the country – Online.cars can be found anywhere there’s an internet connection. Societa Anonima Italiana Darracq. Anonima Lombarda Fabbrica Automobili. Anonima Lombarda Fabbrica Automobili Romeo. 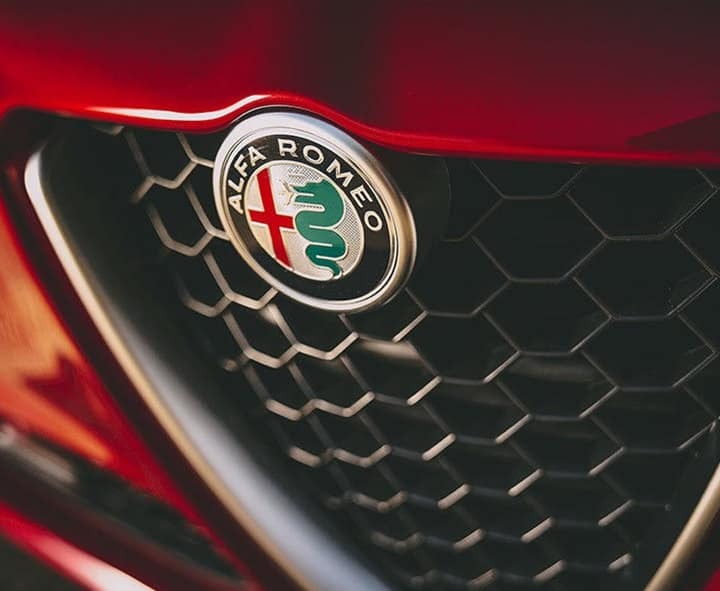 Alfa Romeo has gone by a number of different names over the years, but the brand has consistently been committed to producing innovative and luxurious vehicles. Despite a long list of setbacks, the company has clearly persevered, evidenced by their recent reemergence. The brand was initially known as the Societa Anonima Italiana Darracq, or “SAID” for short. That was until chairman Ugo Stella partnered the existing company with Anonima Lombarda Fabbrica Automobili (ALFA), which subsequently led to the production of higher-quality vehicles. The brand ultimately produced several iconic vehicles, including the 40 HP and 60 HP. With designer Guiseppe Merosi adding a number of innovative technologies beneath the hood, ALFA/SAID didn’t just produce a one-of-a-kind vehicle… it helped revolutionize the industry. Throughout the war, the brand focused their efforts on producing military equipment to help aid the Allies’ efforts. Soon after, the company once again decided to produce several vehicles, and they gained popularity following the success of their race cars (operated by famous racers like Giuseppe Campari and Enzo Ferrari). The Alfa Romeo brand name was introduced around the same time, and the company produced a vehicle that was intended to appeal to any general consumer: the Torpedo 20-30 HP. While the brand’s racers were stealing the headlines, it was the Torpedo that was enticing these customers to visit applicable businesses in the first place. The company ran into several issues prior to the start of World War II. Romeo and Ferrari both left the company, leaving a void that wasn’t easy to fill. With sales already struggling, issues were only made worse when their major factory was bombed during the war. Still, the brand managed to produce a vehicle that is still lingering today: the legendary Giulietta coupe. Fortunately, the company eventually emerged from their rut. Alfa Romeo agreed to a join venture with Fiat, which resulted in the production of a number of versatile vehicles. Soon enough, the brand was considered one of the utmost leaders in the production of both sport and luxury cars. Alfa Romeo isn’t solely a European brand. In fact, the company’s vehicles could be found around the United States for several decades. However, weak advertising efforts ultimately led to their demise, but recent developments indicate that the company’s North American efforts may actually be working. Alfa Romeo was seemingly a European brand for much of the company’s existence, but that changed in the 1960s when entrepreneur Max Hoffman asked for a modified version of the Giulietta. Soon enough, the company began importing their beloved vehicles to North America. Unfortunately, the company never really clicked with American consumers. The lofty price tags surely contributed to the lackluster sales, as did the general lack of interest in luxury vehicles. Ultimately, the brand would witness their first significant loss in 1993, and by 1995, the company had announced that they’d be pulling out of the North American market. Rumors lingered for years regarding a North American return of Alfa Romeo’s vehicles. Fortunately, by 2006, the company had released their first United States-oriented vehicle in nearly a decade: the 8C Competizione. Unfortunately, the brand didn’t do much to advertise their new product, and the quarter-of-a-million-dollar price tag surely scared away some prospective buyers. It was a similar deal with their 4C coupe (which was released in 2014), as consumers were unaware that the vehicle was even on the market. Fortunately, it appears that the company has made some headway over the past year. The brand paid a pretty penny (an estimated $25 million) to broadcast three commercials during Super Bowl LI. It may be a bit too lofty to expect them to sell 150,000 a year anytime soon (as the brand intends), but the advertising efforts at least indicate that Alfa Romeo is serious about its presence in the North American market. It shouldn’t be all that surprising, but Alfa Romeo’s 4C Coupe is known for its style and luxury. The brand allows drivers to choose between a number of exterior and interior options to help customize the vehicle, and the existing styling cues help convey a vehicle that is a combination of opulent, sporty, and intimidating. Despite the long list of interior and exterior amenities, the vehicle truly makes a name for itself via the impressive capabilities. The 1750 turbocharged I4 engine has immediately made a name for itself as one of the most powerful offerings in the segment, as drivers can expect the unit to pump out 237 horsepower and 258 pounds-feet of torque. Furthermore, engineers included a number of mechanical features that help boost the overall driving experience. For instance, the DNA System offers a number of different driving modes that will accommodate any road or terrain conditions. You’ve probably recognized that variations of the Giulia are some of the most beloved and respected vehicles in the brand’s history, and for very good reason. Engineers delivered once again with the revamped version of their legendary coupe. The exterior styling cues are appreciated, as the Italian upholsteries help push forth the luxury. Meanwhile, the exterior’s sharp angles and curves help convey that athleticism. Even the 2.0-liter I4 Intercooled Turbo Engine is worth noting, as this tiny engine is capable of pumping out a whole lot of power (280 horsepower, 306 pounds-feet of torque). However, the most notable attribute of the Giulia is the array of technological amenities. The Rotary Controller will automatically connect with the vehicle’s widescreen Information and Entertainment System, allowing you to access the unit without taking your eyes off the road. The Carbon Fiber Drive Shaft reduces the weight (which positively impacts efficiency) without compromising power, while the Bi-Xenon Headlamps will make your car noticeable from miles away. The brand isn’t only committed to producing luxury, sporty cars. They’ve actually released a capable SUV that can rival any of the existing offerings in the segment. Similar to the company’s other vehicles, the Stelvio includes a number of technological amenities. Perhaps the most notable inclusion is the eight-speaker audio system or the optional Harman Kardon Premium Audio System, which provides 14 speakers and a 900-watt, 12-channel amplifier. Of course, the engine is also worth noting. The 2.0-liter Direct-Injection I4 Intercooled Turbo Engine teams up with an impressive eight-speed automatic transmission to deliver 280 horsepower and 306 pounds-feet of torque. When all is said and done, drivers should expect a top speed approaching 144 miles per hour.